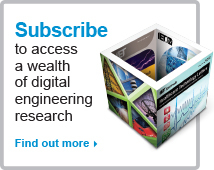 The IET Digital Library is copyrighted by the Institution of Engineering and Technology. The online publications and their content, including html abstracts, are copyrighted by the Institution of Engineering and Technology. The PDF full-text content is copyright the Institution of Engineering and Technology, unless stated otherwise in the footer of the article. The search software used on the platform is copyrighted by Publishing Technology. The IET Digital Library and Online Publications are subject to all applicable copyright, database protection and other rights of the stated owner and publisher under the laws of the United Kingdom and other countries. Copyright notices in the IET Digital Library, and Online Publications may not be removed, obscured, or modified in any way. Unauthorised copying or redistribution of any IET Digital Library content is a violation of copyright laws.